All of the information, news, statistics and opinions placed on this website is for informational purposes only and does not reflect upon Whitestown Post 1113, District 5 American Legion Baseball, Department of New York American Legion Baseball, American Legion Baseball, or Eteamz in any way. The appearance of hyperlinks to other websites should not be construed as an endorsement by Whitestown Post 1113 American Legion Baseball of the content or the views contained therein. This site exists solely for the purpose to keep our players, parents and fans informed of the latest team news, recognize the achievements of our team and players, and to provide an easy forum to publicize our program to other youth baseball organizations and college coaches. Although every reasonable effort is made to present current and accurate information, Whitestown Post 1113 American Legion Baseball makes no guarantees of any kind. 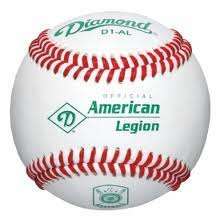 All persons attending American Legion Baseball games assume all risk and danger incidental to the game of baseball whether occurring prior to, during, or subsequent to the actual playing of the game, including specifically (but not exclusively) the danger of being injured by thrown bats, and thrown or batted balls. Every fan agrees the participating teams players and team officials are not liable for injuries resulting from such causes. If you have any comments, or find any information to be incorrect or misstated on this website, please send an email to WP1113@roadrunner.com. Thanks for visiting... we hope that it has been an enjoyable baseball experience. Please return soon!